Happy (belated) Birthday, Maya Angelou! Yesterday would have been Maya Angelou’s 88th birthday, and though she is not here to celebrate with us, she’s left a legacy of the written word that we can celebrate in her honor. There are many topics and “big ideas” we could connect this poem with – in order to work it into what we’re teaching about contemporary and current events or literature. We could connect it to war, the environment, the potential (and disappointment? and hope?) of people. The repeated “When we come to it,” emphasizes our still-coming-into-itness. What might our students have to say about this in light of other things they’re learning or reading? Are we closer than humanity was in 1995 . . . or further away? I wonder what these two poems would have to say and reveal about one another. It might be an interesting discussion or Socratic Seminar. Hold for three, now twist and jerk. And, finally, the poem most often used in tributes right after her death, “When Great Trees Fall,” published as the last poem in the 1990 collection of poetry, I Shall Not Be Moved. This post is an idea-gathering space to expand on the thinglink infographic created for the third installment of Tips, Tricks, & Treats. Click here for access to all of the links from this workshop. And here’s the handout Stephanie created for great websites. Click images to make them larger. Below is what a “shared” note looks like. This means you can share notes and notebooks with students and colleagues. easily. 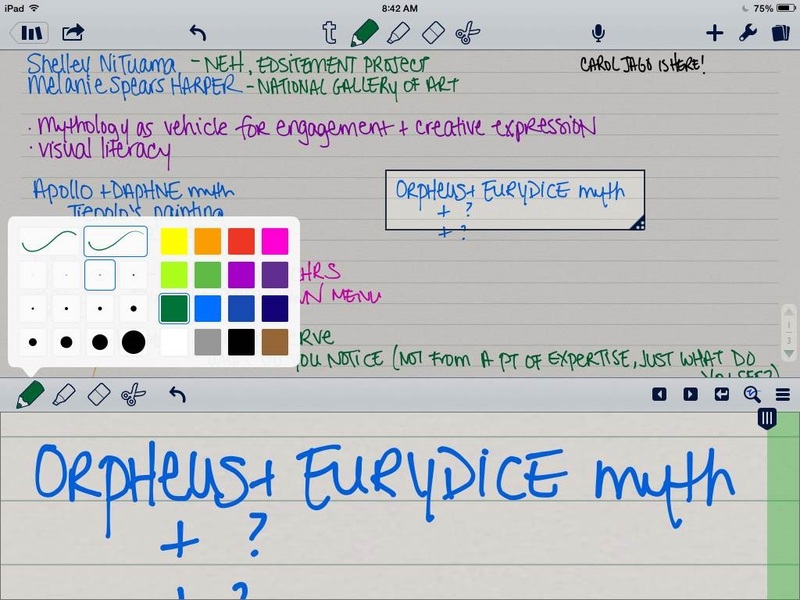 Use Notability to take handwritten notes on your IPad or other device. 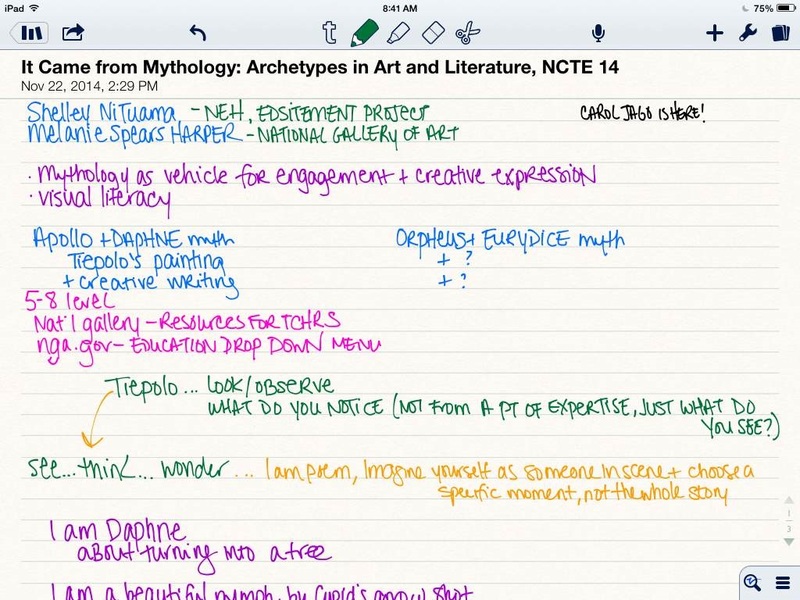 You can change the color, you can highlight, add a lined page for easier writing, and can even transfer your notes to evernote or some other source for easy viewing and organization later. It allows you type notes as well, if you prefer. To get the most out of Notability, be sure to click the magnifying class at the bottom, which allows you to write larger, but for it to appear smaller on your notes page. 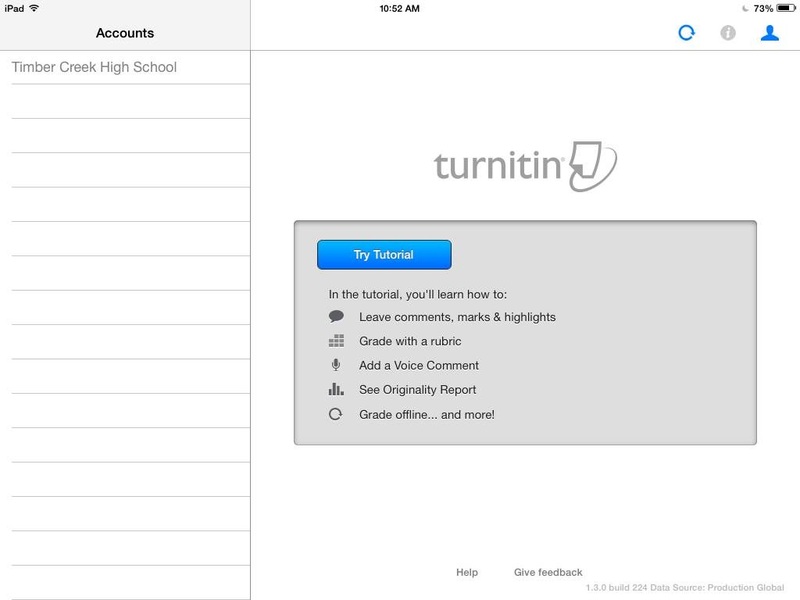 Turnitin.com (app & online): Use turnitin to catch instances of plagiarism, to assign specific peer review and self review assignments, and to grade essays. 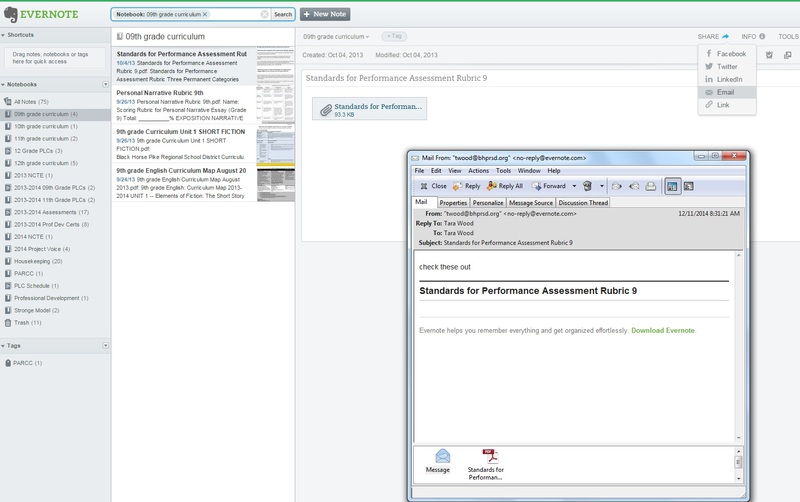 You can even import your own rubric, and on the app, you can leave voice comments!! Sign in to bhprsd.org and access “Staff Resources” and then “Technology FAQ” for information on how to register for turnitin.com. Thinglink (app & online): Create interactive images where you link text, videos and images from the Internet. You could create one for students as a review, an introduction to a unit, or a unit-long resource. You could begin one (or let students begin) and build on it together throughout a unit. Students could be individually responsible for linking a current-event article, historical background, a song that relates, a video that demonstrates a related concept, etc . . . Together you build and learn all the connections that can be made. Students build their own interactive image as a project, unit review, or even in lieu of standard notes. YouTube (app & online): Use the link above to access an article on the best youtube channels for education. Students can also use youtube to upload videos for projects that can then be easily viewed for presentations and later by you. Prezi (app & online): Create dynamic presentations or ask your students too. Creators can co-edit in real-time, which means students (and teachers) can work on the same prezi. No more . . . “Well my partner has our project and he’s not here today,” and much more productivity when working in-class on presentations. 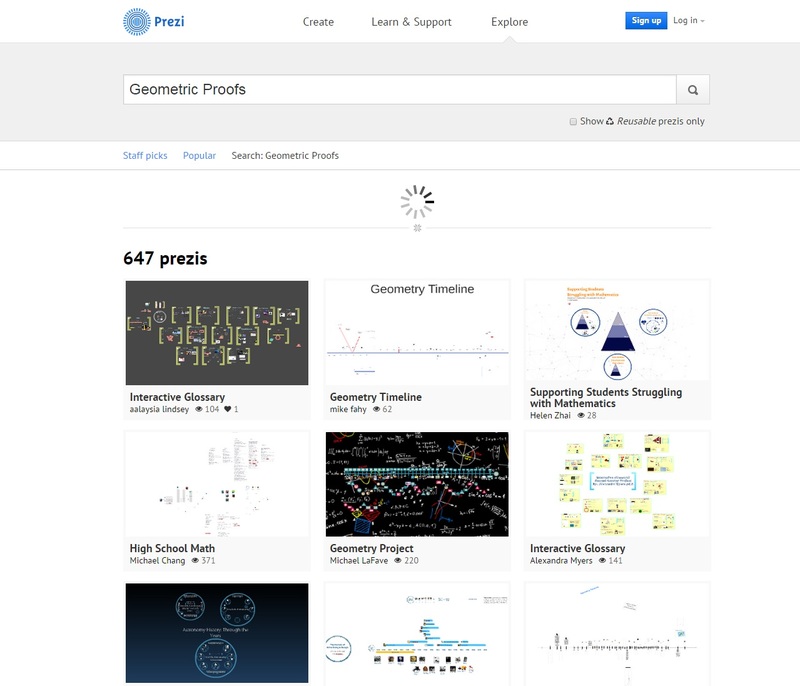 Another great feature of Prezi is the “Explore” tab. Search for anything you may be teaching to see if you can borrow & steal instead of reinventing the wheel. If the Prezi has a recycle symbol, you can save a copy of it into your own Prezis to make any changes or additions you’d like. Add a text (literary, informational, musical) and have students annotate it. They could do this individually or in pairs/small groups. Each student might get a paragraph, a page, or a chapter of text that they are responsible for annotating. You can add text to the site or they can. Close read together, at home or in the computer lab. Share the work; expand the understanding. 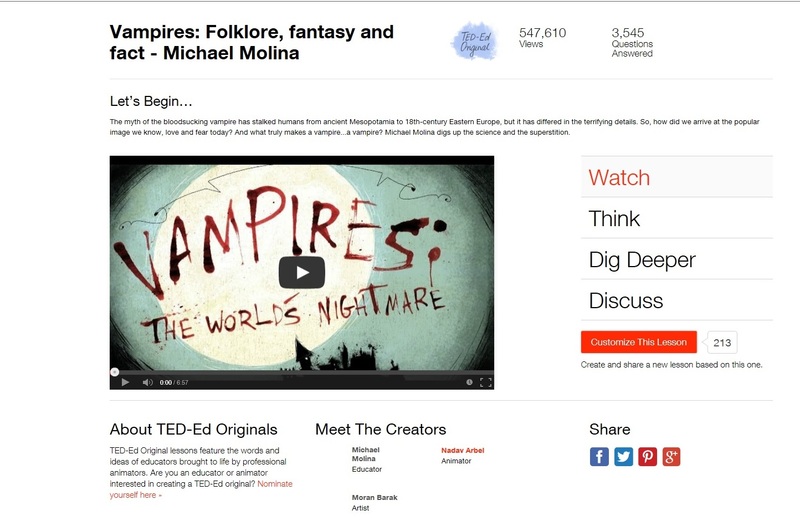 TedED: Find and create lessons centered around a video from TED or YouTube. The already-created lessons could have questions (MC & open-ended) as well as resources for learning more. You can create your own video-centered lesson so that students can learn at home (Flipped-classroom style) on their own or in class. Can you just imagine the future when students have computer access when a substitute teacher is there and they can still follow your planned lesson?? Twitter: Use Twitter in the classroom by creating a hashtag (make sure it’s not already being used!) that your class can use when responding before, during, or after reading text, watching a video or film, listening to a song, etc . . . . You can simply search the hashtag on Twitter to gather all of the responses. Here’s an example from Jessica Evans’s and Kristy Johnston’s English 4A classes last year. 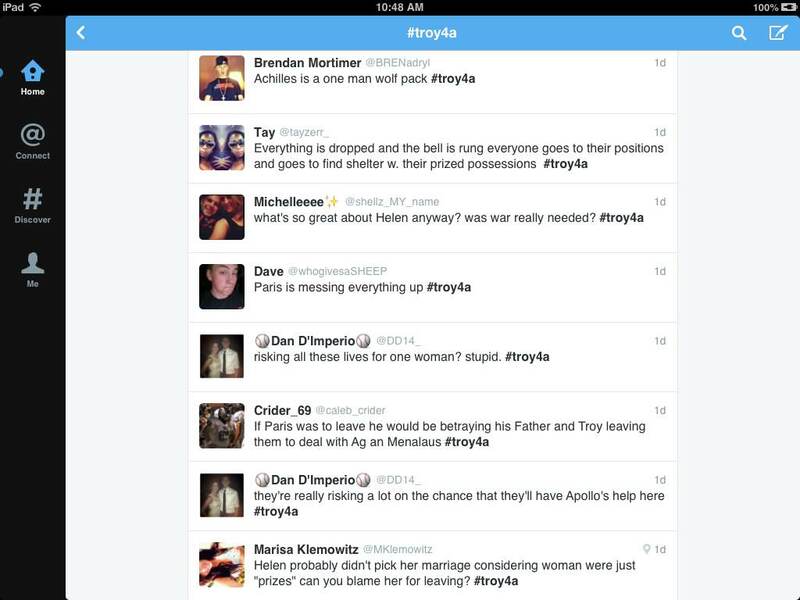 Students had to tweet to #troy4A while watching Troy. Piktochart: Create infographics or ask your students to as culmination of a research assignment, to re-organize notes or analysis, etc . . . Combine Piktochart with Thinglink if students will be presenting! Just looking to have your student analyze infographics? Check out Daily Infographic. Turnitin.com (app & online): Use turnitin to catch to assign specific peer review and self review assignments and hit writing-technology literacy standards while you’re at it! Zite (app): Create your own “newspaper” on topics that meet your professional development interest. Once you select subjects, Zite will scour the Internet for articles related to those topics and compile them neatly and nicely for you. Give articles a “thumbs up” if you want to see more like them and a “thumbs down” if you don’t to see them. 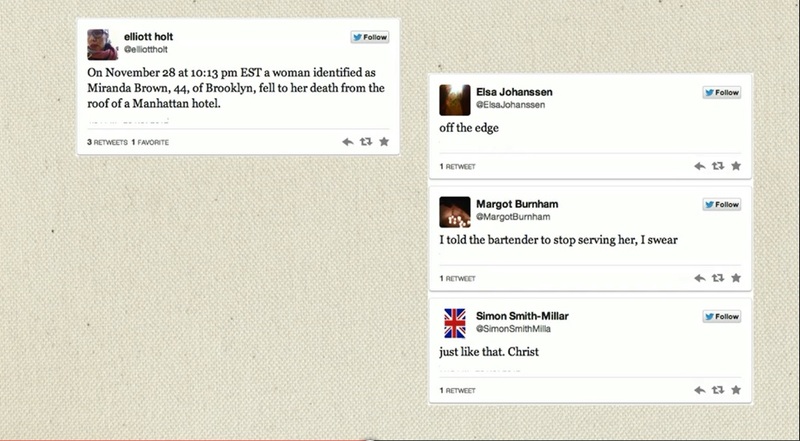 This will help Zite zero in on exactly what you’re interested in. Share these articles with others by posting them on Twitter. Podcasts: Podcasts are online “radio shows,” for lack of a better description. You can find them on just about any topic. 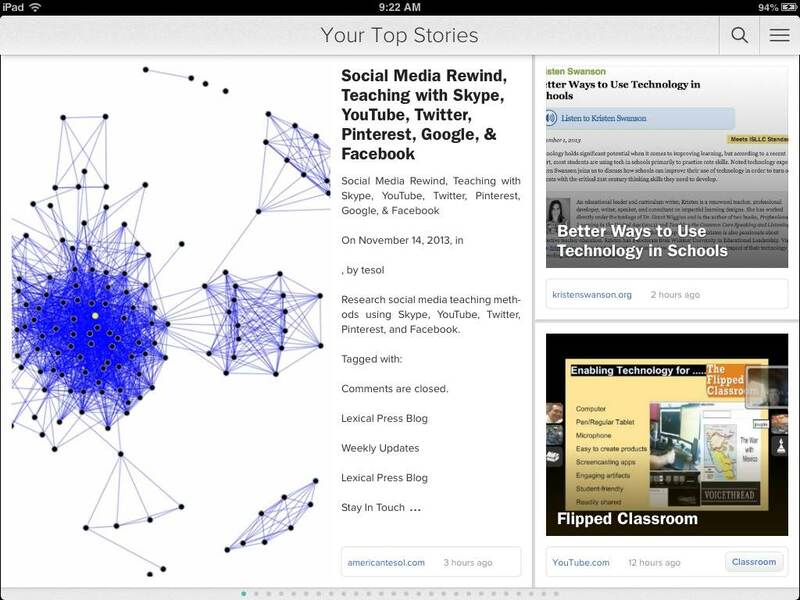 Check out the thinglink for an article about which are the best for 21st century educators. Webinars: Take a seminar online – often for free!! 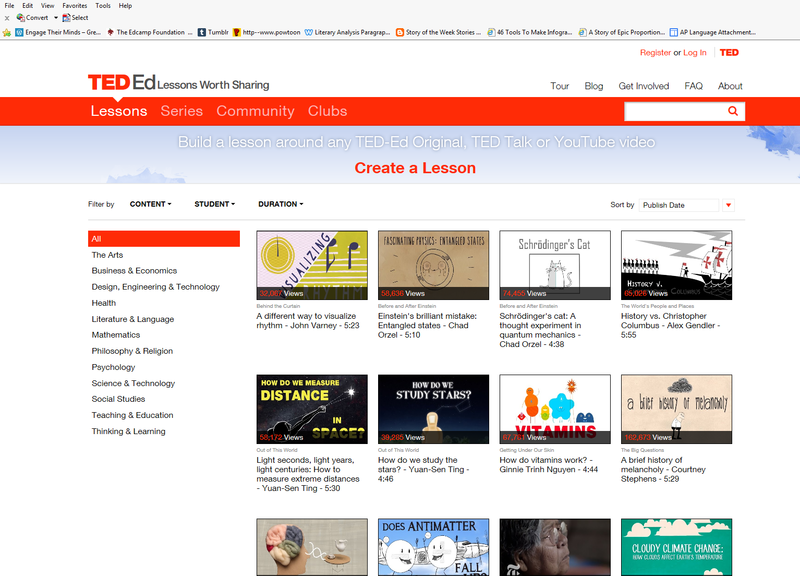 Check out the links on the thinglink for some great free Webinar options. 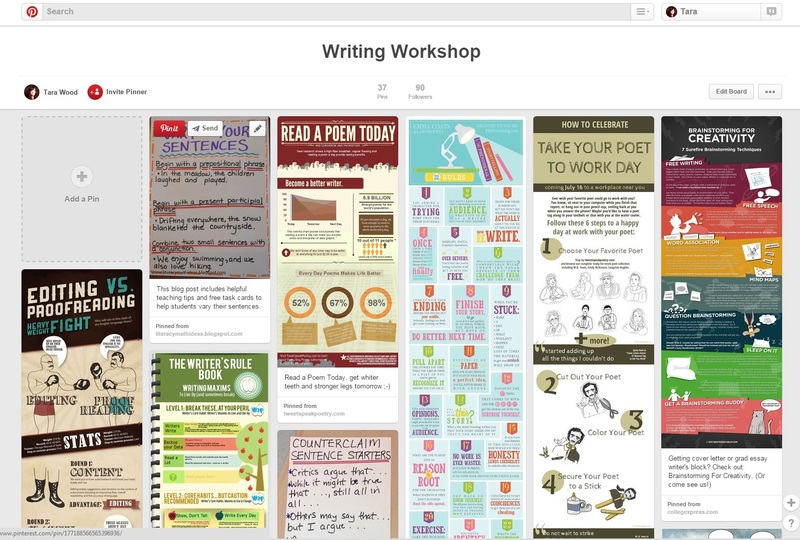 Pinterest: Collect and organize resources! Use Pinterest’s educational boards or search for your own educational-interest and start building resources on specific topics. I have boards on literacy, Writing Workshop, Genius Hour and Project-Based Learning, that I’m slowly filling to contain numerous resources on all of those topics. 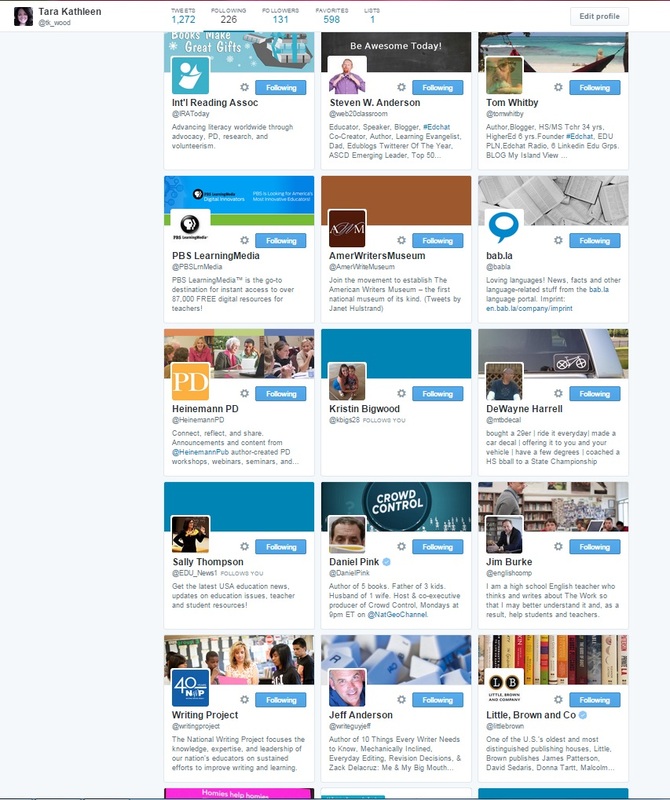 Twitter: Twitter is fast becoming the go-to place for professional development. 2. Search the hashtags you’re most interested in. 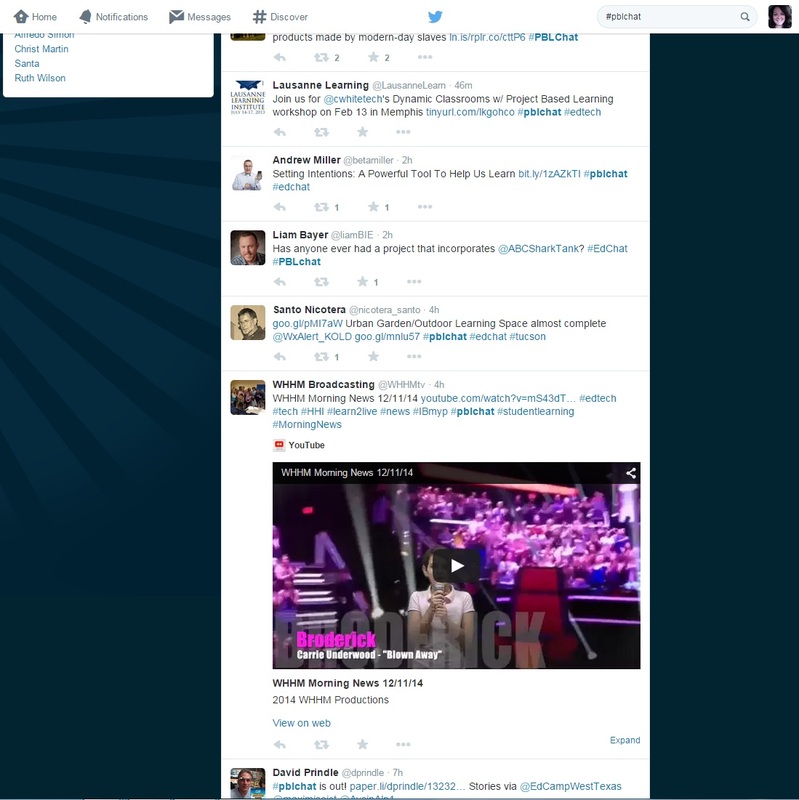 (Linked to the Thinglink is a list of education-related hashtags). As I’m sure you’ve noticed (or not . . .visitor numbers are low :)), I neglected NPM postings during Spring Break. 1. From the Poetry Foundation (and Target, apparently), a Teacher’s Poetry Guide for Black History Month. It deals in three main subjects: Love and Compassion, Heritage and History, and On Being Black. It includes poems and activities for students: Poetry Foundation Black History Month. You could use this as it is or extend the subjects out to other poems and poets – other poets writing about identity, heritage, and compassion. 2. Hit some global issues with an article by the New York Times, “Why Afghan Women Risk Death to Write Poetry” or this longer look at Afghan Women’s Poetry in this poetry foundation article (with poems). 3. 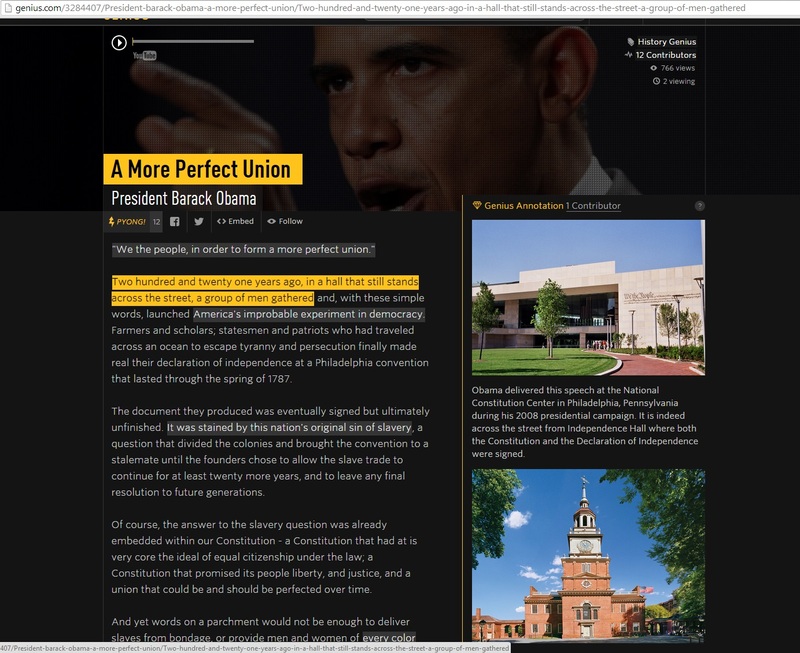 Have students explore annotated poetry (click yellow text to see pop-up annotations) or annotate poetry themselves at Rap Genius’s poetry genius. 4. Check out the Rock and Roll Hall of Fame’s Lesson Plans that combine music with the social, literary, and political going-ons of its time. Selections include Langston Hughes and the Blues, Popular Music and the Civil Rights Movement, Music and Protest, Vietnam War, Cold War, etc . . . (remember – music as poetry totally works! ), This is one of my favorite resources. 5. A video from EduTopia about Empowering Authentic Voice through Spoken Word Poetry that looks at one student working with YouthSpeaks and learning how to use her life as her primary text. Great to open a discussion about poetry, why we write it and perform it and how we find ideas for our poems. Would work as an introduction to spoken word poetry or poetry in general. 6. YouthSpeaks’s Brave New Voices (featured on HBO) includes videos (watch here) of students’ performances at the finals. It is nice for students to see what other teens are writing about and how they are performing. 7. The National Writing Project’s long list of resources (many are articles, but the ideas may spark something!) for Teaching, Reading, and Writing Poetry. Brainpickings.org, which I recommend for all kinds of reasons, not the least of which is because Maria Popova describes her site as “a human-powered discovery engine for interestingness” has a great page called “literary jukebox.” It’s a “side project” Popova does in which she picks a great literary quote and matches it thematically with a song (you can play the song on the site). You could even great a bulletin board jukebox (or Ipod), where you could keep track of your book-long, marking-period-long, or year-long jukebox selections. I found this fun article . . . 10 Great Songs Inspired by Shakespeare. Check it out! It lists the lines that are “most inspired” and an explanation of the connection/source. It includes connections to Romeo and Juliet, Macbeth, Hamlet, and others!